Catch sweeping views of the city from one of the two public observation decks at Tokyo Metropolitan Government Buildings. Completed in 1990, the postmodern building designed by Japanese architect Kenzo Tange references a Gothic cathedral. 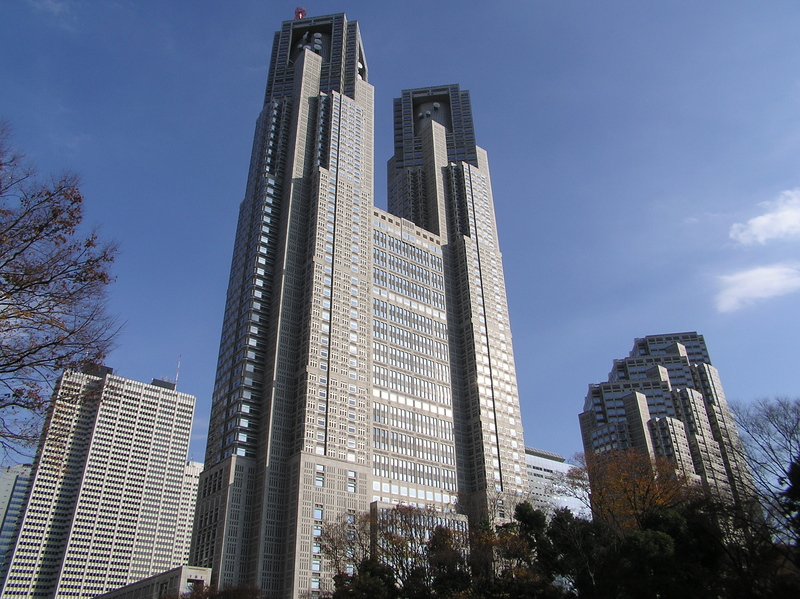 Inside, the governing bodies for the entire Tokyo metropolitan area have their headquarters. At 202 m (663 ft), the building's observation decks each contain a cafe and souvenir shop. One of them stays open late, providing glittering views of the skyline on clear nights. 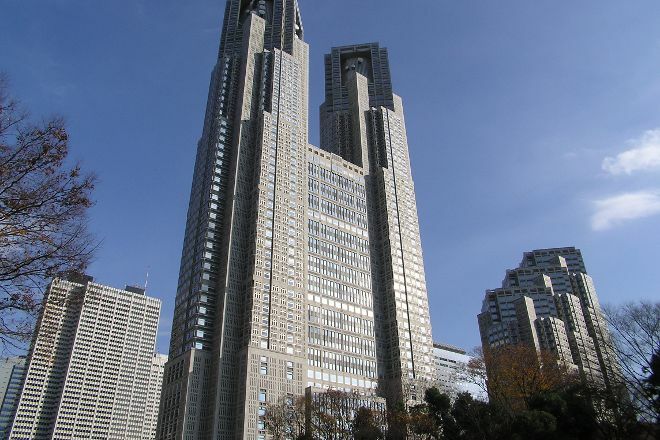 Plan to visit Tokyo Metropolitan Government Buildings during your Tokyo vacation using our convenient Tokyo online trip itinerary builder . I came right at sunset to enjoy the Tokyo Skyline and heard that this was a free elevator to the viewing floor of the building. I was very impressed with the view. It was amazing to see the sunset behind Mount Fuji and all the lights across the city light up as the night fell. I recommend visiting this building to get a great sense of the city and it's skyline. If you're in Tokyo, I definitely recommend coming here. There are two observatories, the North and the South. Check the website to make sure of the closing times of each one. It can get pretty crowded during peak times, so plan accordingly. It is a free observatory and you can have a great view of the city of Tokyo. Also a good place to buy some souvenirs.